Rose Room: The art of gender illusion. Clockwise from left, Sasha Lauren, Krystal Summers, Cassie Nova and Layla Larue. 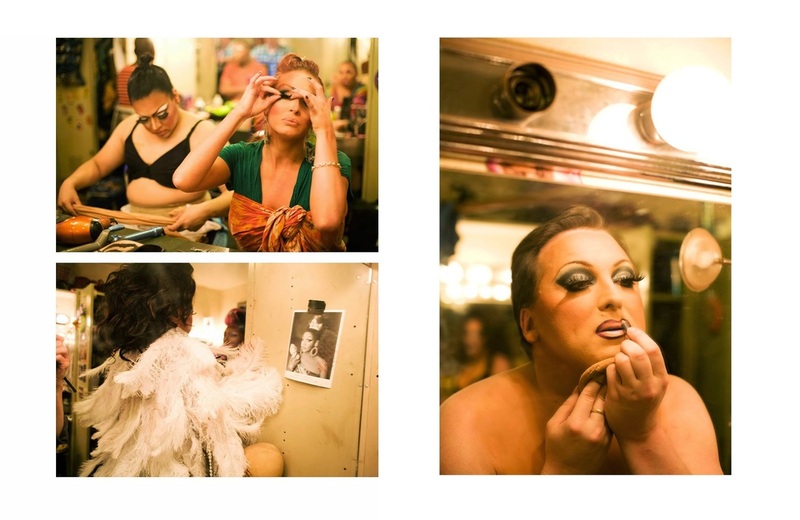 The Rose Room is arguably Texas’ finest cabaret venue specializing in gender illusion. The Dallas landmark is known for ushering in pageant-polished “queens” since 1988 — and putting Big D’s “big hair, big drag” reputation on the map. Only about 10 or so entertainers are tapped to earn official spots on the Rose Room Cast’s current roster. Those lucky “showgirls” are given lockers and a seat at the dressing table in the communal backstage area — where the pre-show creative energy is so powerful, it could electrify a Beyonce halftime performance. Some artists arrive at 8:30 p.m to prepare for the first show, which is at 11 o’clock. And by that time, they’ve already worked through many creative layers — concepts, costumes, choreography, character work, body tights, rhinestones, feathers, jewelry, heels... It’s estimated that each performer has a library of at least 50 of their own wigs. While they sculpt body padding and slip into undergarments, a “sisterhood” emerges. One that‘s never short of laughter or imagination. Whether they’ve been working for weeks toward unveiling a new performance, or they’ve improvised an Amy Winehouse Tribute on the diva’s saddest day, an esprit de corps unifies these visual-and-dramatic creators. Some achieve smoldering glamour with hooded eyelids and smoky-black shadows. Some define their lips with flesh-toned pencils. And some mega-watt veterans can remember what the Rose Room looked like when the first George Bush took office. ​The art of gender illusion has always been a magical experience. Maybe during the art of preparation is where most of those supernatural feats emanate.